For some reason, today I have Scicli on my mind. When I think of Scicli, I think of San Bartolomeo Church. Here’s a revisit to a past post, with a new photo. A pearl set in the midst of an ancient gorge, San Bartolomeo Church in Scicli is a sublime example of Sicilian late Baroque. The church’s dome sits proudly like an elegantly dressed woman donned for the ball in the midst of rugged cliffs and antique homes carved out of caves. 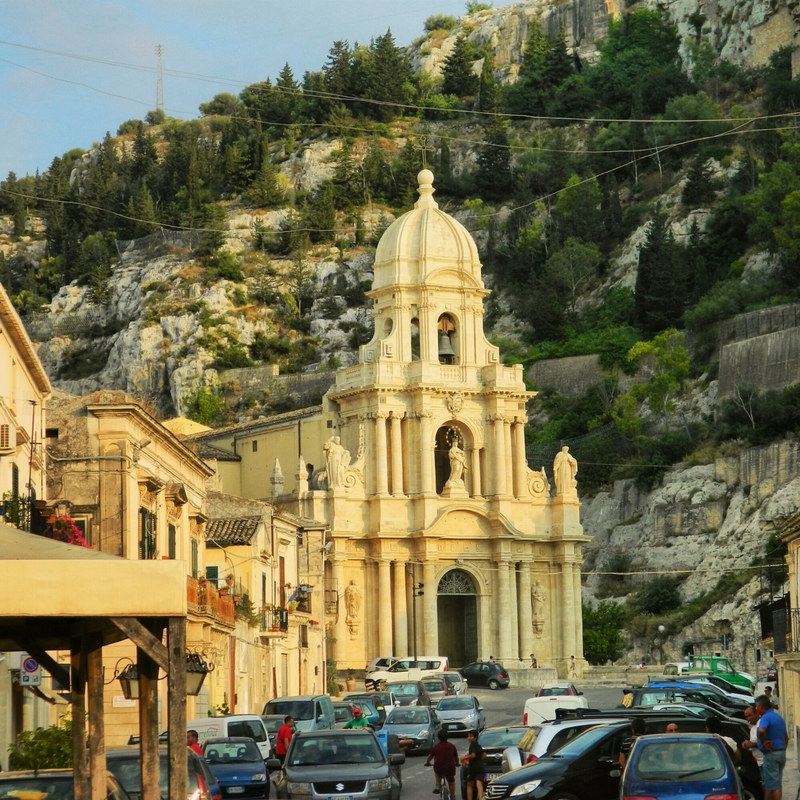 Realized by Syracusean architect Salvatore Alì after the devastating earthquake of 1693, San Bartolomeo is included in the Sicilian Late Baroque towns of the Val di Noto UNESCO World Heritage site. Yet another beautiful church in Sicily. You could almost do a church tour in Sicily. I started going into every church and cathedral I saw on a far-too-short trip to Paris years ago, and every one of them was amazing and so inspirational. In one with two famous artworks outside, one by Picasso, there were doves flying inside the cathedral! Yes, it was an active church. There are some outstanding churches… Inside and outside.